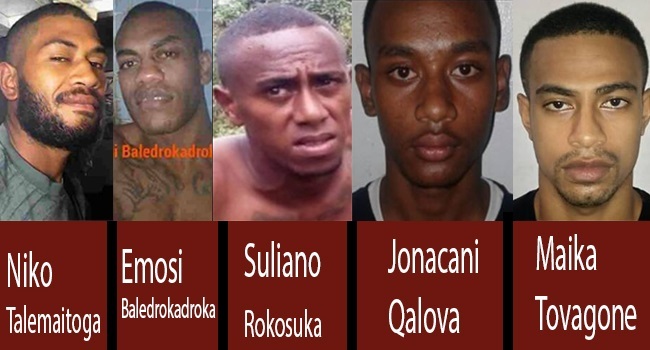 Ecapees Emosi Baledrokadroka, Maika Tovagone and Jonacani Qalova will be produced at a special court sitting at the Suva Magistrates Court this morning. The three have been charged with escaping lawful custody. Emosi Baledrokadroka was arrested in Nakasi while Tovagone and Qalova were arrested in Vugalei yesterday. Police says the fourth escapee Suliano Rokosuka who was arrested earlier was produced in court yesterday and has been remanded. The search continues for the fifth escapee, Niko Talemaitoga.